Little Rock Scripture Study delivers a transformative experience of Bible Study that is relevant, trustworthy, and essential for forming disciples. Little Rock Scripture Study provides an effective method of Bible study that shapes God’s people into faithful and active disciples. Through prayer and study, adults learn more about the Bible and its message, learn to use the tools that help in understanding, grow in their appreciation for Christian community life, and encounter Christ in ways that are transforming. 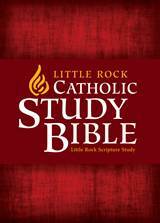 Little Rock Scripture Study is a ministry of the Catholic Diocese of Little Rock in partnership with Liturgical Press. An ideal way to enrich our understanding of the Bible, and to appreciate how it applies to life, is to study with others, sharing what we have learned in our personal preparation and praying together. Consider these studies with others. Most of our materials may be used by individuals at their own pace. 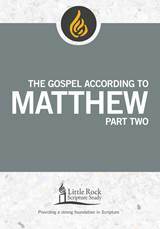 The commentary provided in each book is understandable and, with the help of study and reflection questions, guides each person through a biblical book or theme. We’re adults who are hungry for God’s Word just like you. We have the opportunity to work with a wide variety of Catholic biblical scholars and parish ministers as we develop Bible study that involves a reasonable amount of actual study along with reflection (Little Rock Scripture Study), books that focus on biblical spirituality and require a little less work (Alive in the Word), and a user-friendly and well-rounded study edition of the Bible (Little Rock Catholic Study Bible). We support these tools with an online newsletter, some free articles and videos, and great customer service. Three weeks is all it takes to dive into a rich experience of the Bible with Alive in the Word. You’ll focus on three Bible texts for each volume, read good background material, make use of different ways to pray with these texts, and consider how to live differently as a result. These options from our New Editions or our Classic Studies may be as short as 4 sessions or as long as 15 sessions. Dig deeply into the assigned portions of Scripture, respond to questions that explore understanding and application to life, and watch a wrap-up lecture for each session. 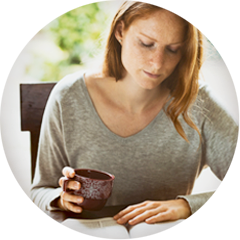 You’ll find that the method we use for Bible study is manageable and straightforward. 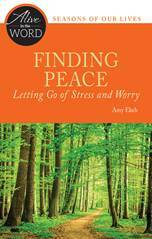 Find tips for everything from choosing and ordering materials, to advertising in your parish, to facilitating a group effectively. Our authors are among the most respected Catholic biblical scholars – professors, pastors, writers, speakers – who put their scholarship at the service of the church in language that is understandable and respectful of adult learners.